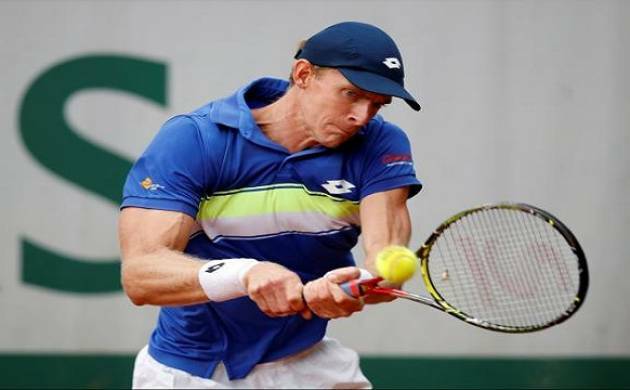 South Africa's Kevin Anderson overcame a stiff resistance from Spain's P Carrero Busta in the men's singles semis to advance to his maiden grand slam final. South Africa's Kevin Anderson overcame a stiff resistance from Spain's P Carrero Busta in the men's singles semis to advance to his maiden grand slam final. Anderson had to see off the 12th seed from Spain in four tight sets to secure a berth in the grand finale. Anderson shall be taking on two times Champion Rafael Nadal who beat Argentina's Juan Martin Del Potro in the other semifinal encounter. Anderson also became the lowest rank player in the history of the US Open to make it to the finals. Anderson is the first South African to reach the US Open final here since Cliff Drysdale lost to Manuel Santana on the grass of nearby Forest Hills in 1965. Anderson known for his big serving hit 22 aces to overpower his higher ranked Spanish opponent. With top seeds faltering in the early rounds of the tournament, Anderson made a quite progress to the final.